Priyal qualified from the prestigious school of Dentistry at the University of Liverpool and joined the practice in 2011. She has gained a reputation for providing a very friendly and relaxed approach with our patients. Priyal has a keen interest in Cosmetic Dentistry, including crowns, veneers, teeth whitening and has completed a year Aesthetic Dental Course under the supervision of Dr Paul Tipton who is the President of the British Academy of Restorative Dentistry and the founding Director of the British Academy of Aesthetic Dentistry. 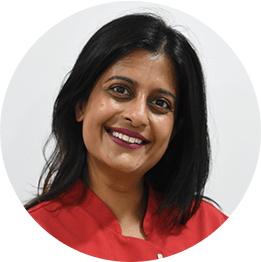 Teeth Straightening using both Six month smiles and Clear Smile aligner systems is one of Priyal s favourite cosmetic dental treatment and she has achieved many fantastic results and had many happy clients. She has a keen interest in Facial Aesthetics which covers wrinkle relaxing injections and dermal fillers.